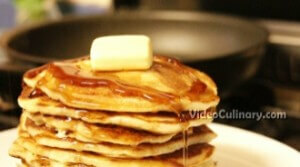 Make delicious, fluffy homemade buttermilk pancakes from scratch! 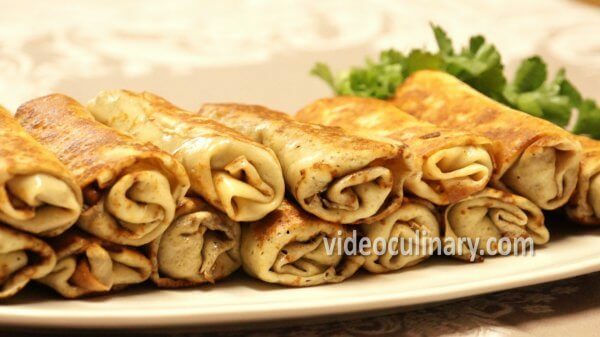 Try this easy pancakes recipe for breakfast. Sift together 220 grams (8 oz) of flour, 2 teaspoons of baking powder, and 0.5 teaspoon of baking soda. Add 50 grams (2 oz) of sugar and 0.5 teaspoon of salt. Mix and set aside. 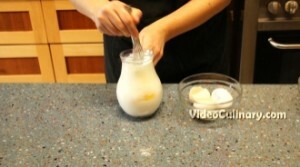 In a separate bowl, mix 350 ml (12 fl oz) of buttermilk and 3 eggs. 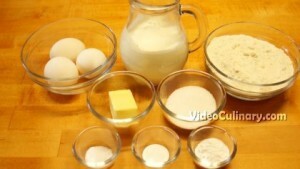 Make a well in the flour mixture, and add the milk and eggs. Stir until almost combined, and add 50 grams (2 oz) of melted butter. 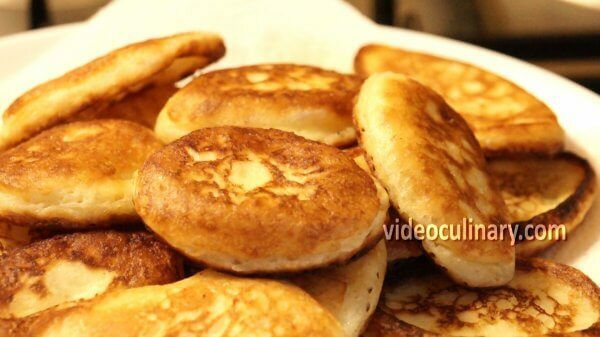 Do not over mix the batter- it is Ok to have some lumps. Heat a pan over medium heat. 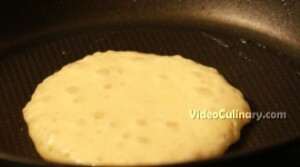 Lightly oil it, and pour about 1/4 cup of batter onto the pan. 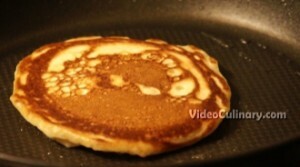 Once small bubbles form at the center of the pancake, and the edges are brown- flip the pancake. 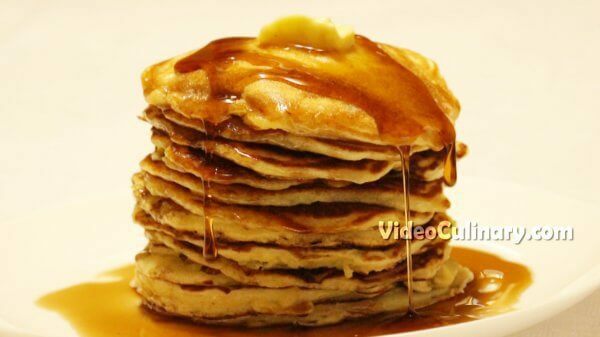 Serve with butter and maple syrup, honey, or with homemade strawberry preserve! 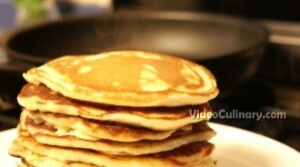 Pancakes in the morning are always a start of a great day! Enjoy! 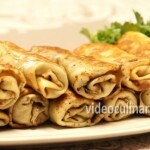 Visit our website for Grandma Emma’s pancakes and for more great recipes!